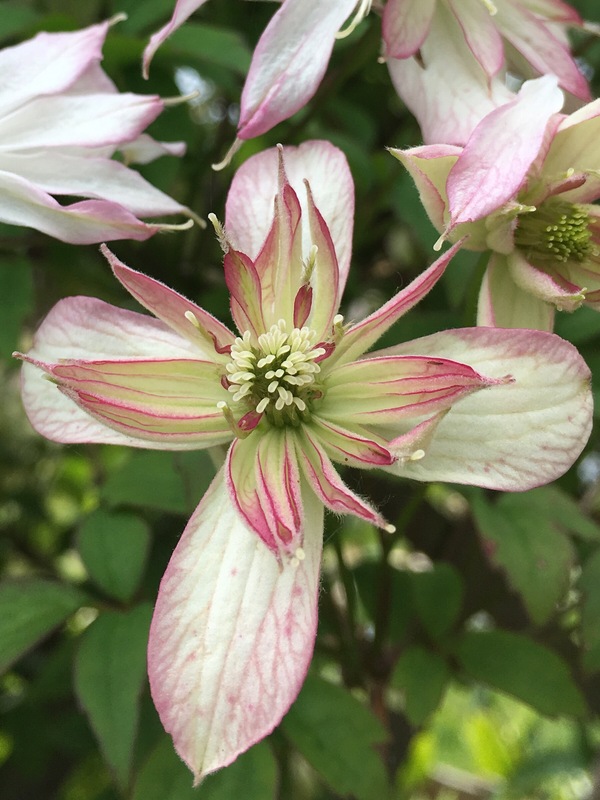 Clematis Montana Marjorie. A delicate double-flower. Scented in the evening to attract moths. That is beautiful and you’ve captured it so well. Thank you. It’s lovely to have something looking good despite this totally torrential rain. June supposed to be our easy month of the year, as gardeners. It’s turning out to be a nightmare. It has beautiful colors. So nice to see. My pleasure, Karen. I looked for a ‘follow by e-mail’ button on your blog, but didn’t see one. Oh, I’m not sure how to add one of those. Will look and see. Thanks for letting me know. I’m on Twitter @kgimson too. Lovely. So glad I have found your blog. Yes, please. Looking forward to more of your posts. Have a great day full of coulered flowers!